The Golden Globe Awards bring together the best from the worlds of movies and television. We only care about the fashion! From stars of the big screen to stars of the small screen, they all came out in Los Angeles on Sunday night. Who looked best? Who needs to fire his or her stylist as soon as possible? Scroll down to weigh in! 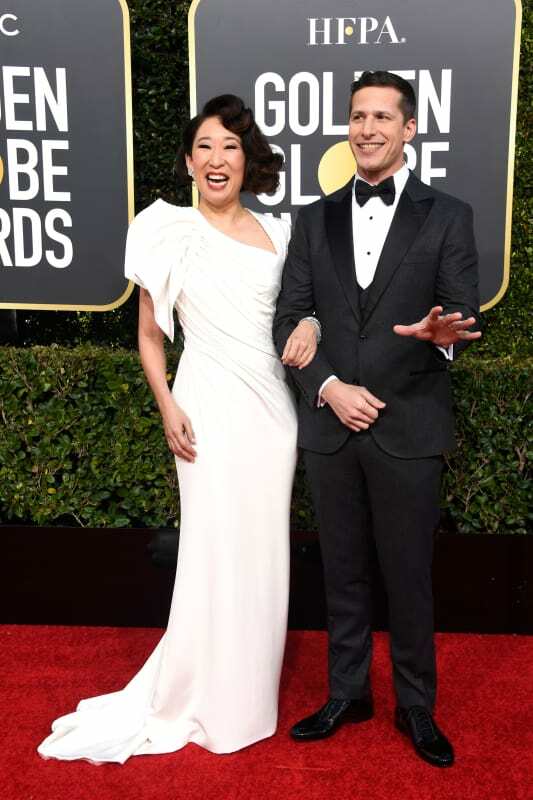 Sandra Oh and Andy Samberg didn’t merely host the Golden Globes. They looked amazing on the red carpet as well. Emmy Rossum went pink and strapless and, as you can see here, gorgeous. Catherine Zeta Jones looked darn good on the red carpet. But when is this not the case? Alison Brie doesn’t just look great here. She absolutely… glows. Connie Britton is basically perfect. We’ll fight anyone who says otherwise. Heidi Klum is one of the best looking people alive. But we’re not sure about this dress. Kerry Washington: What the Heck Did She Say on Ellen?